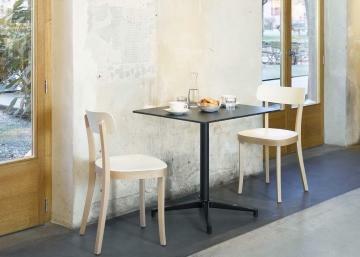 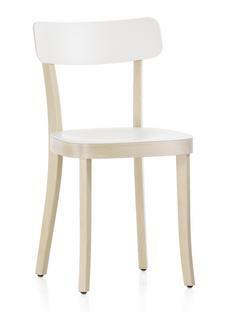 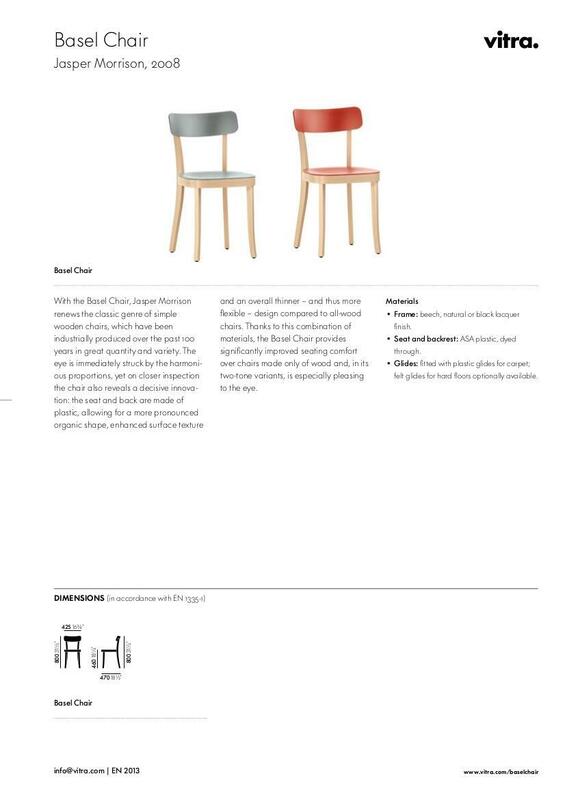 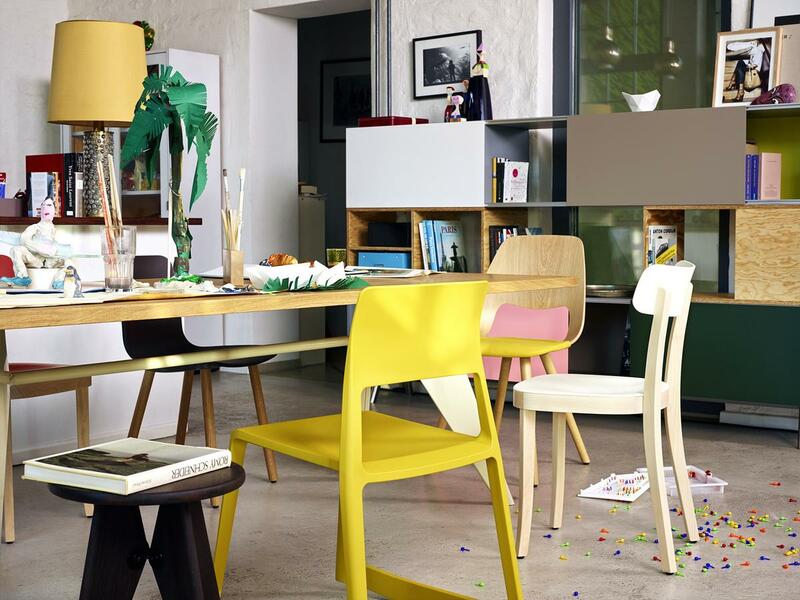 With the Vitra Basel Chair Jasper Morrison has realised a contemporary interpretation of the Frankfurt kitchen chair. 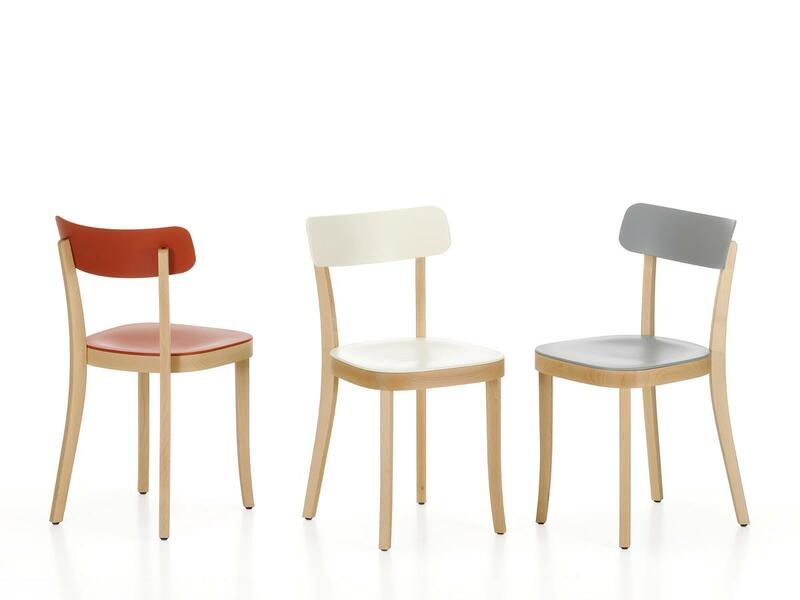 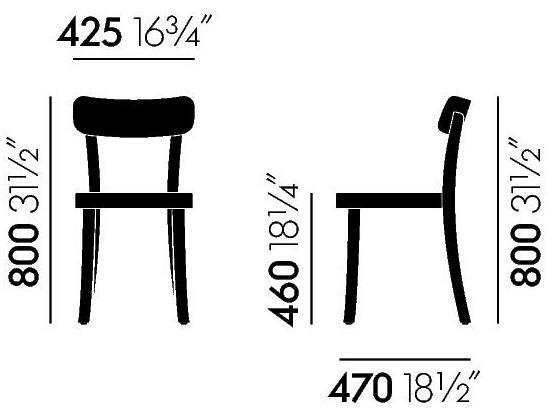 Classic wooden chairs of this type have been produced for some 100 years. 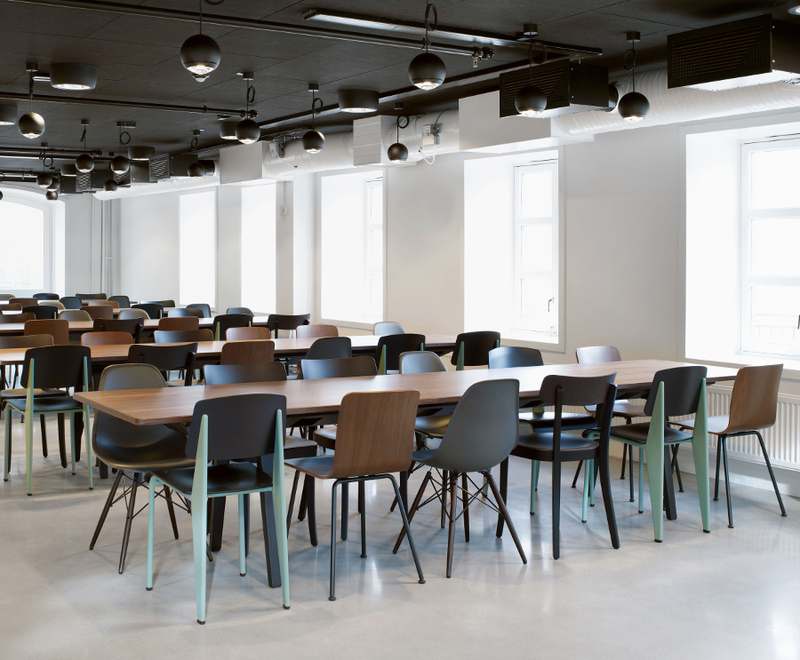 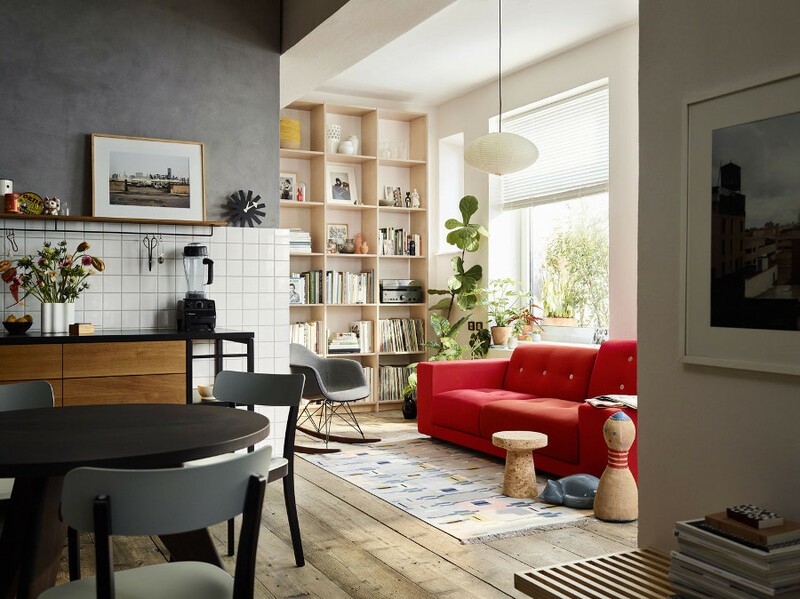 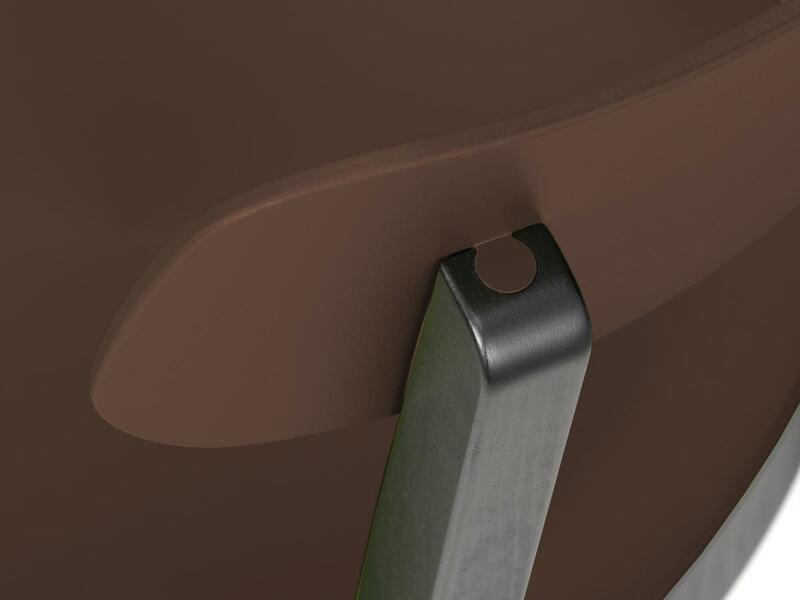 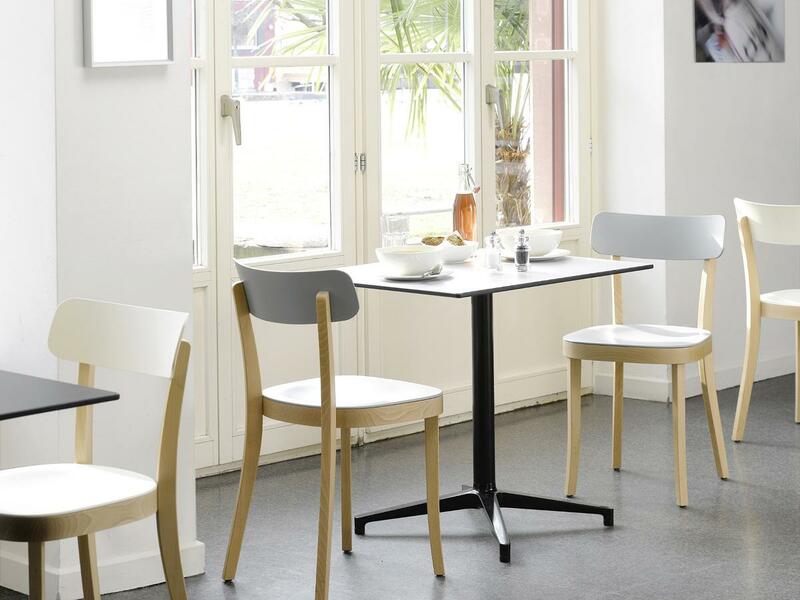 In his version however Morrison has formed the seat and backrest in coloured ASA plastic, a material which is easier to process and more flexible and formable than wood. 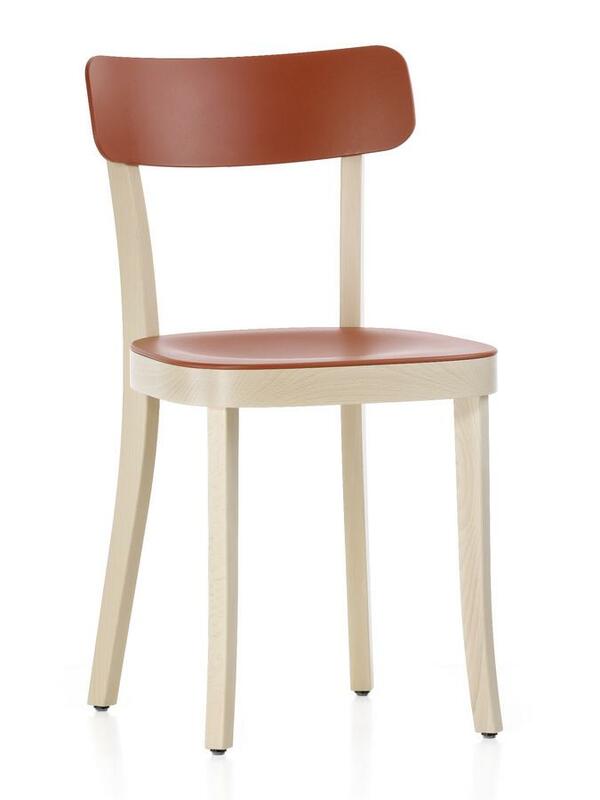 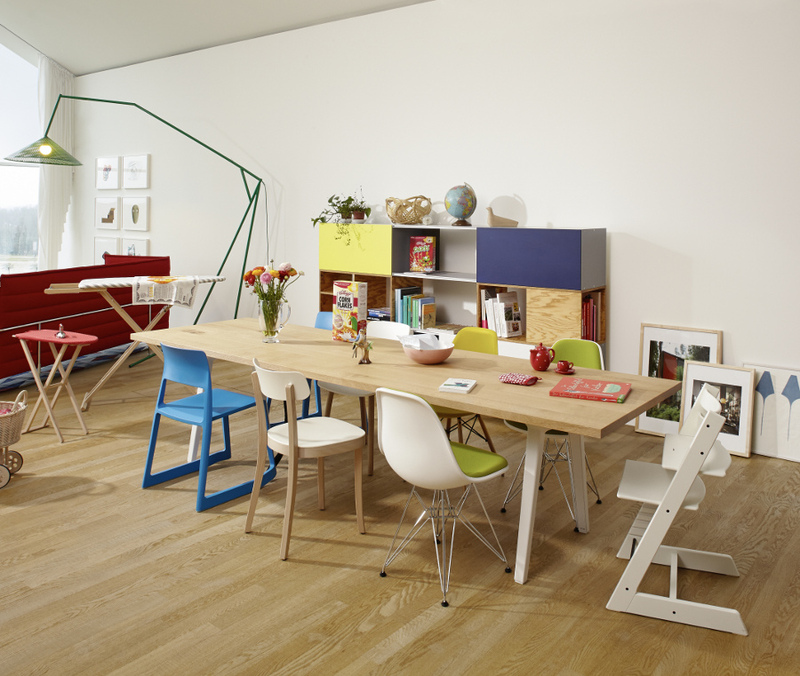 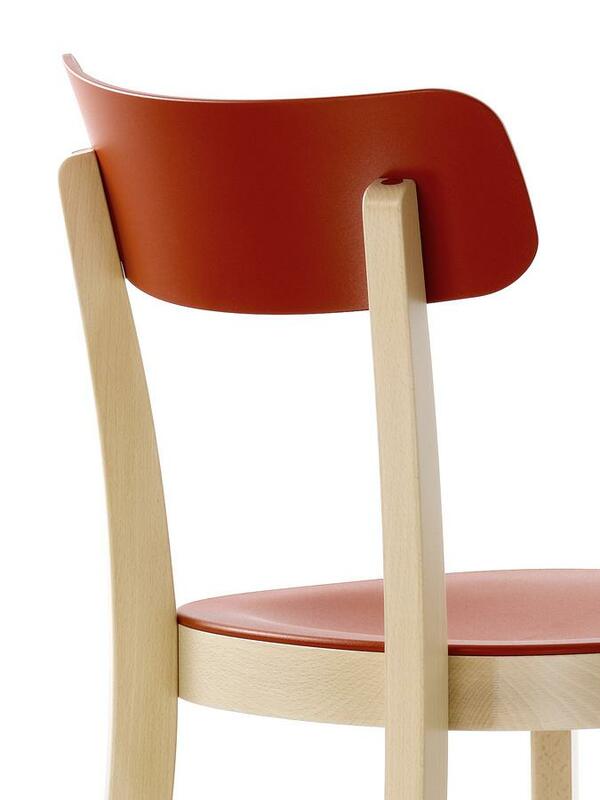 Jasper Morrison designed the Vitra Basel Chair a reinterpretation of the classic Frankfurt kitchen chair. 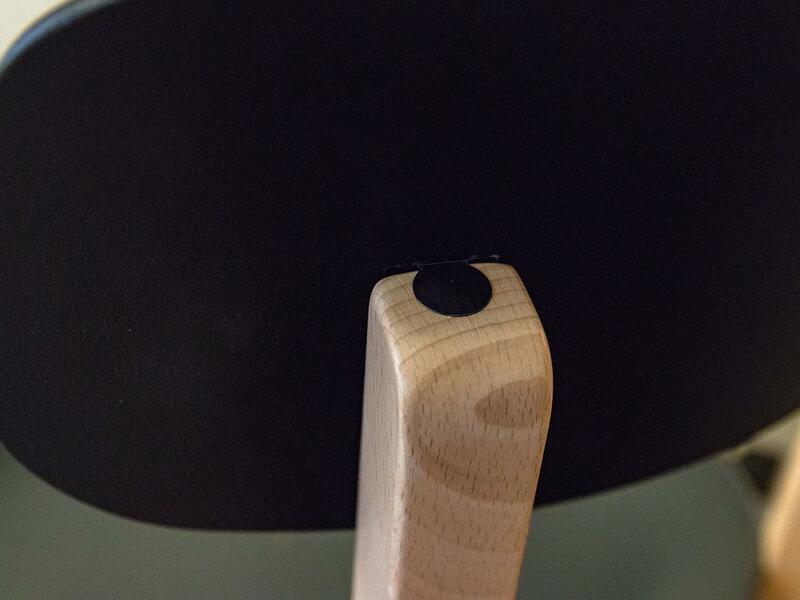 Wooden chairs of this type have been produced for some 100 years; in his reinterpretation however Morrison has created an object which combines a beech frame with a seat and backrest made of ASA plastic. 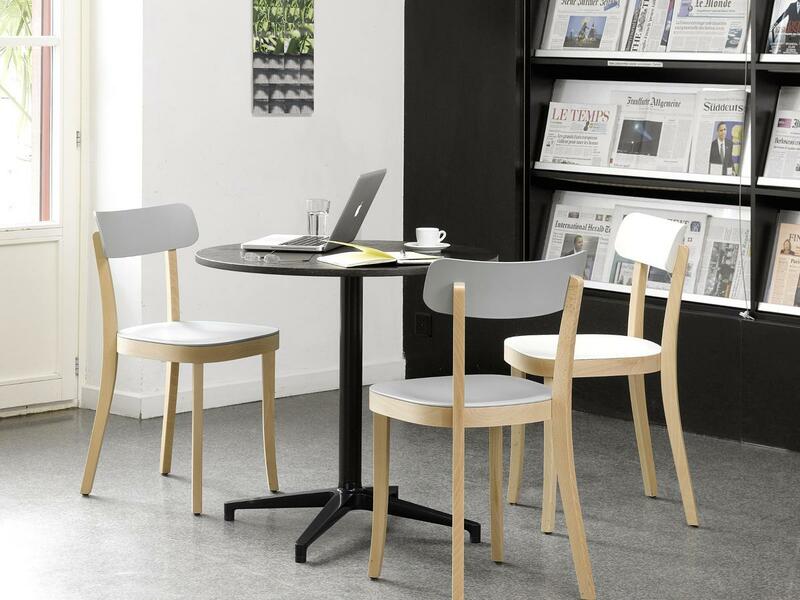 The modern material is flexible in processing and easier to form than wood and as such represents a meaningful innovation of the classic design. 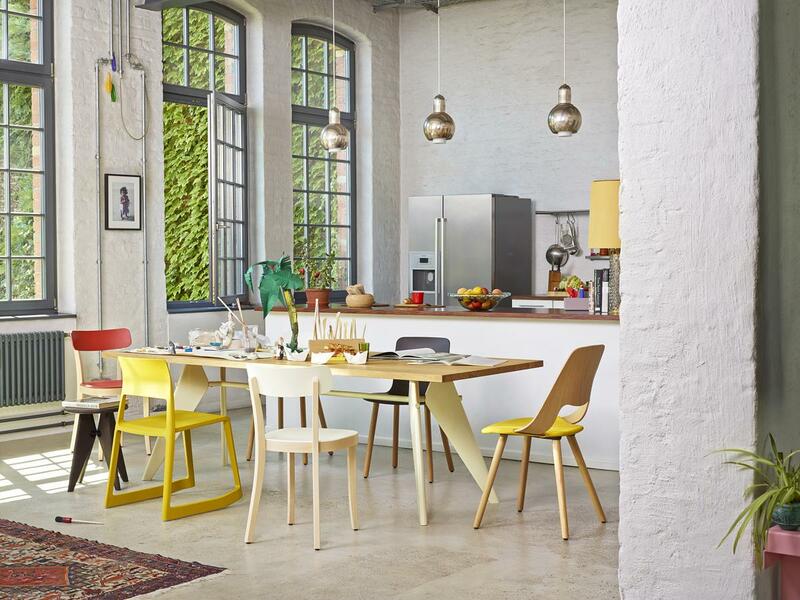 With its modern material mix the Vitra Basel Chair also presents optimized seating comfort and is available in a range of fresh colours. 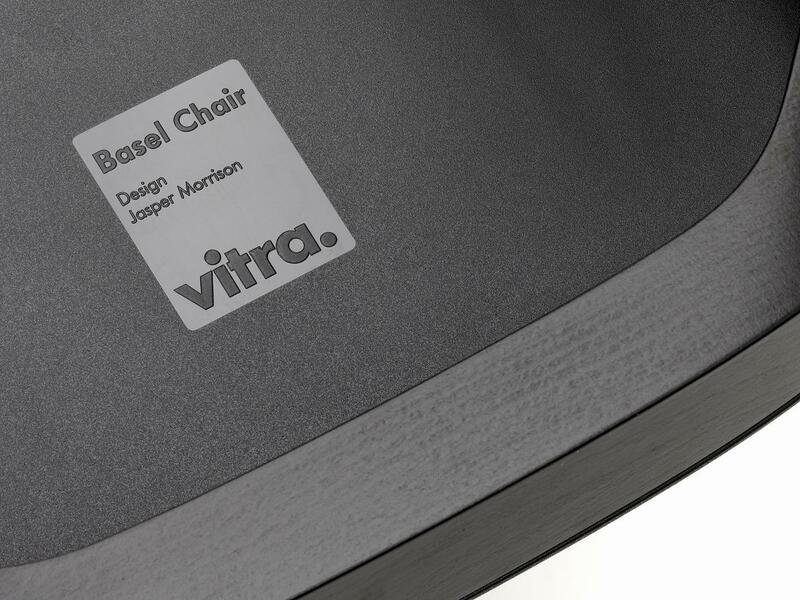 Based in Switzerland, Vitra has been active as a furniture manufacturer since 1957, and in addition to producing furniture design classics from the likes of Charles and Ray Eames or George Nelson Vitra also collaborates with young and established designers from around the globe to produce challenging and future-orientated contemporary furniture design objects.